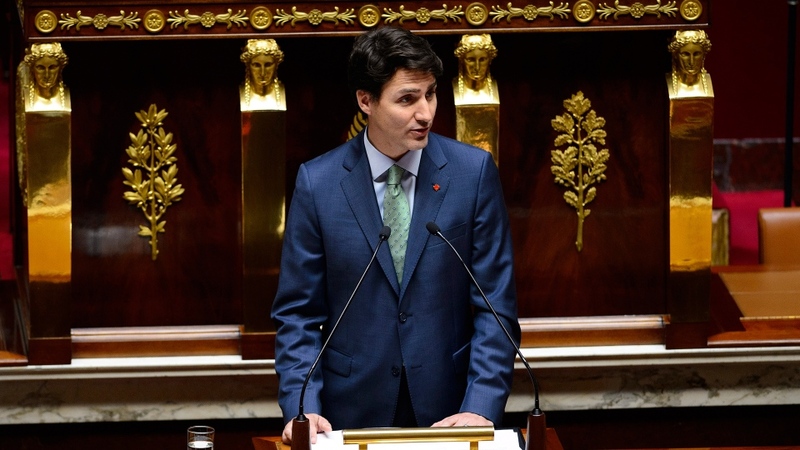 With trademark rhetorical flourish, Justin Trudeau delivered a message of inclusive economic growth, environmental guardianship, progressive trade and gender parity Tuesday as he became the first Canadian prime minister to address the French National Assembly. Beneath the soaring, gilt-edged ceilings of the assembly's lower house, Trudeau delivered an impassioned defence of the virtues the two countries share -- and a few that not everyone in the chamber agreed with. The loudest, most enthusiastic standing ovations were reserved for his remarks about climate change, the shared history between Canada and France during the first and second world wars and Canada's efforts to preserve and protect French culture. Other topics -- immigration and diversity, for instance, and the contentious Canada-EU free trade deal that's currently awaiting ratification in France -- proved decidedly less popular. The trade deal "goes further than any other trade agreement in the world" on the protection of human rights, the environment and the mobility of citizens, Trudeau said in French. A new France-Canada partnership that includes pushing for a global price on carbon falls in line with the Trudeau government's priorities for the G7 Summit in Quebec in June. 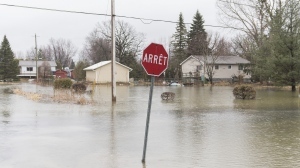 Officials say the government is also hoping the partnership will convince the French that Canada is serious about fighting climate change -- and as a result help with ratification of the deal. And he repeated a favourite line: if Europe can't make a free trade deal with Canada, what other country could it possibly expect to make a similar deal? The trade deal prompted audible grumbles and murmurs from opposition MPs, and large sections of the assembly did not applaud --including right-wing National Front leader Marine Le Pen, who spent the bulk of the speech sitting on her hands. Trudeau lingered on the subject of Canada's G7 presidency, which is to be succeeded next year by France itself. He promised to focus on themes that would address flat growth, the income gap and social inequality. "These inequalities are eroding not only the standard of living of the middle class, but also the confidence of the population in world trade, international co-operation and liberal democracy." Trudeau's speech also touched on the importance of battling the rise of nationalism, populism and xenophobia, which have become serious concerns in France and other parts of Europe.